Here's a look at a few of the Superman sketch cards I recently had the pleasure of doing for Cryptozoic Entertainment. I actually did 100 in total on this batch. What's shared below is a little over half of my contribution. 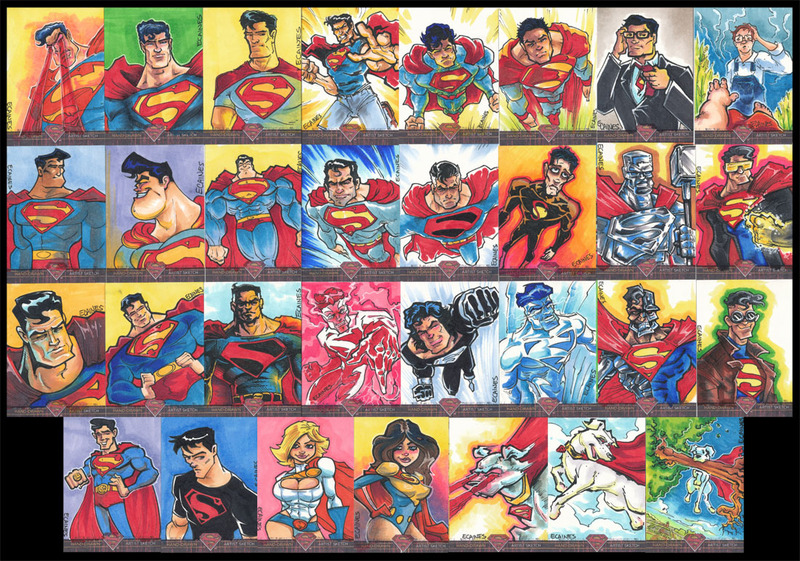 The above set are most of my 'Superman' cards with a couple 'Super' powerhouses in that bottom row. It's fun and interesting how many looks the big blue boy-scout from Krypton has taken on over the years. Below are the 'badies'. I love drawing/designing villains. So much fun. Lastly, I had the pleasure of working with my buddy Jeff Victor (clicky here for more of his awesomeness) on a few jam cards. These are my two favorite, we did 6 total together. 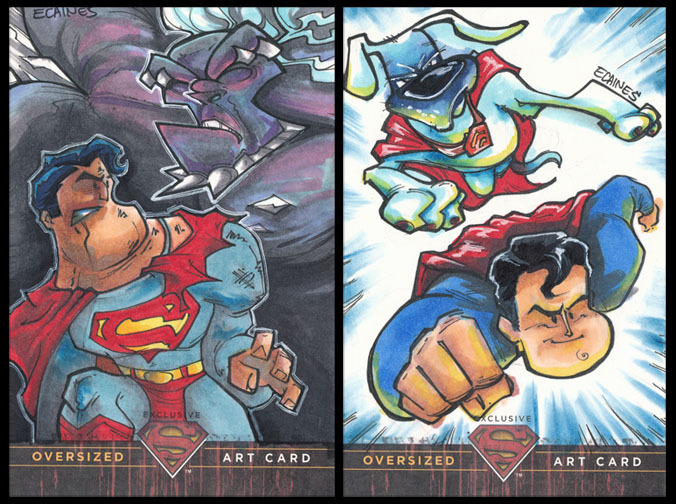 For these two in particular, Jeff sketched out Superman and passed the card along to me. 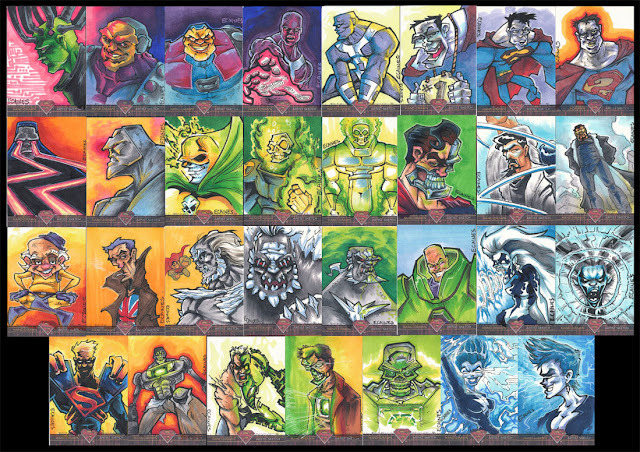 I had free reign on choosing whom else was depicted on the card and putting ink and color to it for final treatment. Likewise I sketched out half of a few cards and vice versa. I have a huge soft spot for Krypto the Super dog, so it's no surprise he ended up on one. Overall I'm really pleased with the final results. Posting again this week, stay tuned! Thanks for stopping by.